Fabric Color TRI-TONEDescription	Width	Depth	Height	Seat Depth	Seat HeightL..
Model Number: 501682Dimensions:Width: 67.5 x Depth: 36 x .. Fabric Color CREAMFinish Color DARK BROWNDescription	&nb..
Model Number: 501832Dimensions:Width: 67.5 x Depth: 36 x .. Item Number : 50216Feature : LOVESEAT W/2 PILLOWSColor :Dimension.. Item Number : 50241Feature : GRAY FABRIC LOVESEATDimensions :&nbs.. Item Number : 50246Feature : TEAL FABRIC LOVESEATDimensions :&nbs.. Item Number : 50251Feature : CHOCOLATE FABRIC LOVESEATColor :Dime.. Item Number : 50256Feature : MUSTARD FABRIC LOVESEATDimensions :&.. Item Number : 50261Feature : ESPRESSO LEATHER GEL LOVESEATColor :.. Item Number : 50266Feature : BLACK LEATHER GEL LOVESEATColor :Dim.. Item Number : 50291Feature : FABRIC LOVESEAT W/2 PILLOWSDimension.. Item Number : 50346Feature : LOVESEAT W/3 PILLOSDimensions : .. 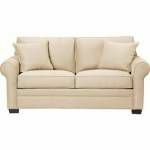 Item Number : 50436Feature : LOVESEAT W/ 4 PILLOWSDimensions :&nb.. Finish Color CHARCOALDescription	Width	Depth	Height	Seat Depth	Seat HeightL..
Model Number: 505202Dimensions:Width: 59 x Depth: 34 x &n.. Fabric Color GREYDescription	Width	Depth	Height	Seat Depth	Seat HeighLOVESE.. Fabric Color BLACKDescription	Width	Depth	Height	Seat Depth	Seat HeightLOVE.. Item Number : 50656Feature : LOVESEATDimensions : 69"L x 37".. Item Number : 50661Feature : LOVESEATDimensions : 72"L x 41".. Item Number : 50666Feature : LOVESEATDimensions : 65"L x 39".. Fabric Color GREYFinish Color BROWNDescription	Width	Depth	Height	Seat Dept.. Item Number : 50686Feature : LOVESEATDimensions : 68"L x 38".. Item Number : 50691Feature : LOVESEATDimensions : 69"L x 38"..